You will never likely need to purchase this chopper feed screw replacement part–it was built right the first time! You will never likely need to purchase this chopper feed screw replacement part–it was built right the first time! 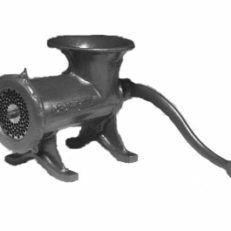 However, some of us like to put something aside for an emergency–others look for great deals like antique grinders. 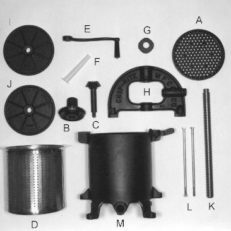 If you are getting a replacement part for an “Enterprise” grinder/chopper, these parts are interchangeable. It is the same great company, different name. Please specify the model number. If you are unsure as to which model number you own, please call 406-334-0185. The old Enterprise models did not always specify the model number but it can be determined by size.